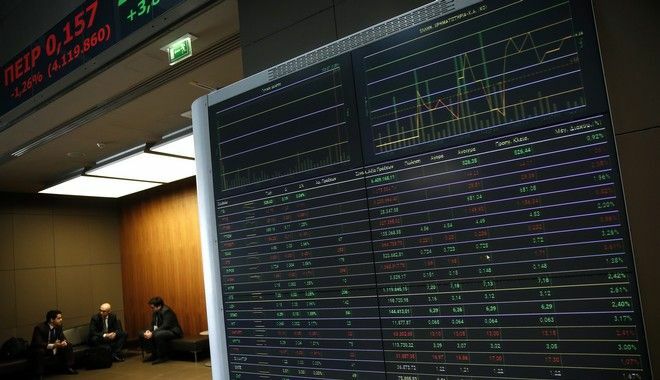 “The quality and number of investors who have shown interest in this bond issue shows that the markets started showing confidence in the Greek economy,” Finance Minister Euclid Tsakalotos said. The Greek government is celebrating Monday’s successful bond sale claiming there is confirmation that the Greek economy is on good course. “We can be happy with the outcome,” said Economy and Development Minister Dimitris Papadimitriou, describing a successful, targeted and strategically structured bond sale. Greece sold 3 billion euros worth of the 2022 bond, Greek government officials and bankers said. About half of that is new money, and half is existing investors in the 2019 bond who switched, according to one of the banks managing the deal. The new bond matures in August 2022 with a 4.625 percent yield. The 2019 bond is yielding around 3.2 percent, so investors will be paid a good premium for participating in the swap. A statement issued by New Democracy says that “huge sacrifices were made to try to get back to where we were in 2014,” pointing out that “the country, after three years, went back to bond sales, drew a total of 3 billion euros, as in April 2014. The difference is that the amount was for a new issue and today the “new money” is about half of that.